PT Alpine Pressurized Fly Bait is a fast-acting fly bait in an aerosol form. This ready-to-use formulation kills House Flies, Lesser House Flies, Flesh Flies, Small Flies and Vinegar Flies. It is helpful to use Alpine Pressurized Fly Bait in areas like trash areas where flies congregate. This fly bait not only provides a quick knockdown, but dries clear, leaving no odor. It continues to kill for up to 30 days on non-porous surfaces. 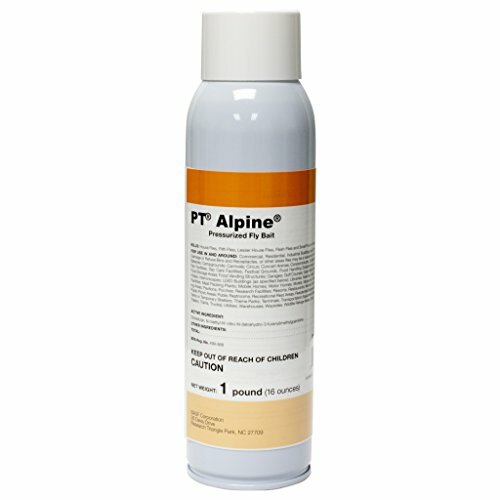 Alpine PT Pressurized Fly Bait can be applied as a band treatment, area treatment or spot treatment; it is versatile.